The Dunning-Kruger effect [Kruger 1999] can lead to formation or persistence of technical debt in two ways. First, it can cause technologists or their managers to overestimate their ability to maintain the resource focus needed for retiring technical debt in a timely fashion. Second, it can cause senior managers to be reluctant to accede to resource requests of technologists and their managers in support of technical debt management programs. 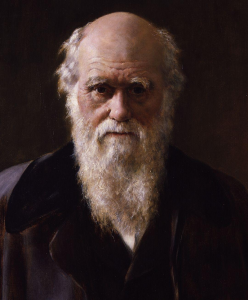 Cropped detail from Charles Robert Darwin, a painting by John Collier (1850-1934), given to the National Portrait Gallery, London, in 1896. Darwin writes, in The Descent of Man (1871): “… ignorance more frequently begets confidence than does knowledge …” which is the essence of the Dunning-Kruger effect. Image courtesy WikiQuote. The first three principles lead to distorted assessments of one’s own capabilities. The fourth principle leads to distorted assessments of the capabilities of others. As an example of distorted self-assessment, consider a team or its managers who must undertake retirement of some types of technical debt in the course of enhancing or repairing an asset. Such a task plan seems at first to offer efficiencies, because the engineers can readily make both kinds of changes at one go. Metaphorically, if we must go to the store for milk, we can also pick up bread while we are there, rather than making two trips. However, modifying an existing complex technological asset is unlike shopping for bread and milk. The two kinds of modifications — debt retirement and asset enhancement or repair — might seem at first to be separable, and often they are. But if they are not separable, and the two tasks are undertaken together, testing and debugging can become extremely complicated, because of interactions between defects in the two kinds of modifications. Under some circumstances, an experienced team and its managers might be more likely to anticipate these difficulties. An inexperienced team and its managers might be more likely to underestimate the difficulties, as a consequence of the Dunning-Kruger effect. Budget and schedule overruns are possible consequences of underestimating the complexity of the problem. Decision-makers might hold any of a number of mistaken beliefs about technical debt. For example, many believe that the main causes of technical debt are poor decisions by engineering managers. And others believe that technical debt is the result of slovenly work habits of engineers. Those who hold such beliefs might be reluctant to allocate yet more resources to engineers to address the problem of technical debt. If the advocates of resources for technical debt management are not fully informed about the strategic direction of the enterprise, their requests might be inconsistent with enterprise strategy. As a result of a cognitive bias [Kahneman 2011] known as the halo effect [Thorndike 1920], decision-makers might tend to discount valid portions of the technologists’ proposals, because some portions of those proposals don’t take enterprise strategy into account properly. Decision-makers might be affected by unrealistic optimism [Weinstein 1996], also known as optimism bias. It’s a cognitive bias that can cause them to discount the sometimes-vivid warnings of technologists about the unfavorable consequences of failing to provide technical debt management resources. Investigations of the degree of correlation between burdens of technical debt and the incidence of rejected or severely curtailed proposals for resources to support technical debt management programs could determine the significance of the Dunning-Kruger effect relative to the problem of technical debt. Also rewarding would be a survey of the nearly 200 known cognitive biases, to determine which of them might be most likely to affect decision-making relative to technical debt, and how best to mitigate the risks they present. [Kruger 1999] J. Kruger and D. Dunning. “Unskilled and Unaware of It: How Difficulties in Recognizing One's Own Incompetence Lead to Inflated Self-Assessments,” Journal of Personality and Social Psychology, 77:6, 1121-1134, 1999.